Are you a musically inclined individual? Or perhaps you just have an utmost appreciation for a variety of types of music. Either way, have you considered pursuing a career in music psychology? If you do not know much about this potential career path, then the first thing you will surely want to do is learn all you can about this occupation. 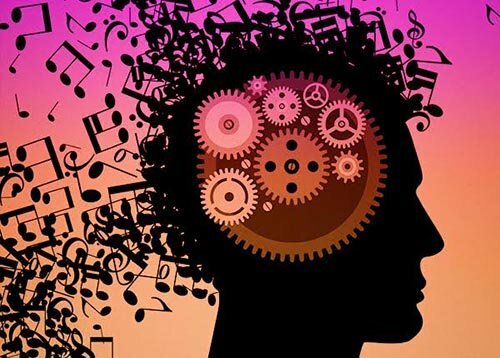 Music psychology, which is often called musicology, is the branch of psychology that is intended to explain and understand musical experience and musical behavior. This branch of psychology primarily operates on an empirically based approach. Therefore, music and psychological knowledge tends to advance mainly on the basis of how musical behavior and musical experiences are interpreted. In addition, this means that you will often be collecting data in a systematic approach that will demonstrate how human participants interact with a variety of musical pieces. Within the research that you will conduct in your field of music psychology, you will be paying particular attention to music composition, music performance, music medicine, music therapy, and music education. Music psychology is a field that uses scientific research in a means of explaining human culture as it relates to the major focus our society has placed on music. This means you will be studying why our society spends a large amount of time, money, and effort on musical activities. Past research, as well as current research, has direct implications with relation to human identity, human nature, human values, the expansion of consciousness, and human evolution. Due to the highly subjective nature of music psychology, it will be necessary for you to employ knowledge and theories from many different psychology areas. For instance, you may conduct research related to memory for music, perception of musical sounds, perception of sound patterns, the role that music plays in forming a group identity or a personal identity, human behaviors like dancing or responding emotionally to music, everyday music listening, why some types of music are more liked than others, social influences on musical preferences, among others. Questions that are posed about music are often very difficult to answer; therefore, you must apply strict quality control procedures when researching literature in search of solutions. Expert peer reviews that are anonymously supplied can be found in conference materials, journals, and societies that focus on music psychology. It is important to note that the work of music psychologists can help contribute valuable information to the study of music theory. For instance, the psychology related studies can simultaneously study harmony, rhythm, melody, tonality, form, and meter. Due to the increased areas of research in relation to music, our society now knows more about the history of musical syntax, how the personalities of composers effects their musical output, and about the musical cognition of different cultures. In your capacity as a music psychologist you will be studying all of the ways that human behavior and the human mind are linked to music. For instance, you will likely spend much of your work time conducting research that will show how the human brain processes music. Your research efforts will also show how listening to music and learning can affect the human brain and our behavior, how music impacts processing disorders, and how music is linked to our emotions and our memories. Keep in mind, music is a great tool that can be used as a form of therapy in the world of psychology. It can be used to help your patients deal with issues that are causing them difficulty or to take them back to happier thoughts and memories. The power of music can purely be positively influential as well as therapeutic.